We have a team of 22 Resident Liaison Officers (RLOs) and 7 Resident Liaison Administrators, who are qualified in or working towards NVQ Level 3. Customer Service Managers (CSM) are qualified in Customer Care NVQ Level 3 and undertake Effective Management Courses. RLOs are chosen based on their personal skills and are managed by our experienced Customer Service Manager. All our staff coming into contact with Residents in occupation will undergo a Criminal Record Bureau (CRB) check. We recognise that Customer Care cannot be delivered by the RLO alone and therefore train Site Managers and Operatives in Customer Care to NVQ Level 1. 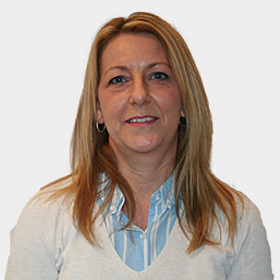 Rebecca has approximately 10 years’ experience within Customer Services. She was employed as a skilled Resident Liaison Officer (RLO) and within 8 months she progressed to her current role as Customer Service Manager. Rebecca classes herself as an exceptional communicator, an organised professional, an efficient team player and a loyal member of staff. She enjoys live music, travelling and socialising. Edmund has worked for Breyer Group for a total of 7 years and started as a Resident Liaison Officer, progressing to Senior Resident Liaison (in-between times having a spell as an Assistant Site Manager). His strengths include working with Residents and ensuring they have a good experience whilst we are in their homes. Edmund was recently awarded ‘Mentor of the Year’ due to the work he has done with Apprentices at Breyer Group. Shereen joined Breyer Group as an experienced RLO and has been working within the business for a year. She has excellent communication skills, and a great repertoire of building solid working relationships with residents. She excels in co-ordinating community events and team building exercises. Shereen enjoys socialising, horse riding, reading and dancing.